The Grip Wrist (pictured above) is the latest blast head created for our JetCenter Automated MicroBlasting System. You may have seen other blast head options including the Spin Wrist and the Twist Wrist. 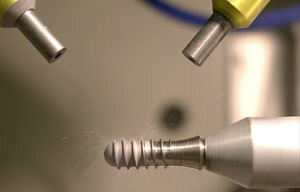 While each performs distinctively, all move the nozzle to and around the targeted part. The Grip Wrist is different: it brings the part to the nozzle. Unlike the Grip Wrist, most blast heads move the nozzle to the targeted part. 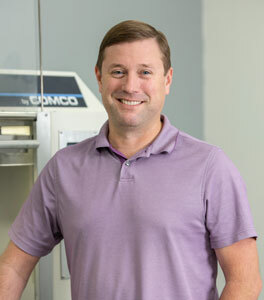 In the interview below, we dig into the design and capabilities of this new blast-head with Chief Engineer, Mickey Reilly. The video at the end shows the Grip Wrist in action. What motivated the creation of the Grip Wrist? [Reilley] The JetCenter, our latest automated system, features a very large travel envelope because it was initially designed to process 300 mm silicon wafers. Once we had that space, we wondered what else we could do with it. 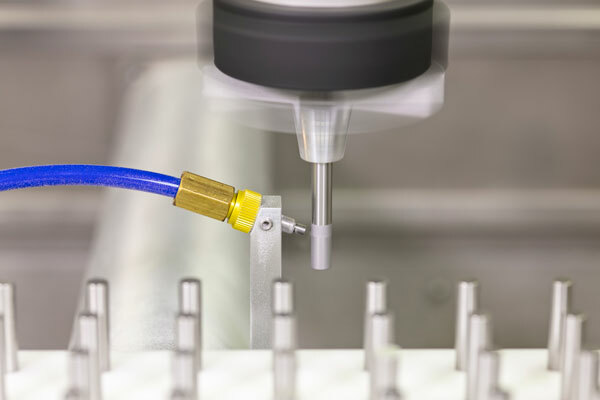 We thought, “what if we use that travel and space to load in a tray of parts, and then pluck each individual part and move it to the nozzle for blasting?” So we developed the Grip Wrist. What previous Comco designs contributed to its development? 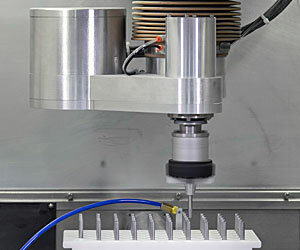 [Reilley] The Grip Wrist is a modification of our Gripper Spindle, which is a modification of our Vacuum Spindle. It has been a constant evolution for 15 years. 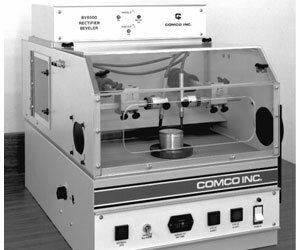 The 1st generation Vacuum Spindle was developed from the 1970s “spindle station” machine that looked like a record player. It’s so old that we don’t even have CAD models. This spindle had small bearings and a plastic o-ring rotary vacuum union. This design was used in our original Standard Lathe. 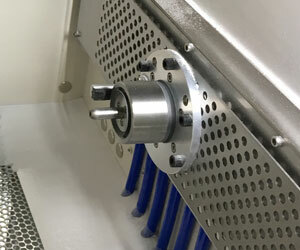 Significant design changes were made between the 1st and 6th generations, but the primary change to note is that the Gripper Spindle required a better seal to transfer air pressure to the spinning shaft. The original seals were only being used at vacuum (-14 psi), but the Gripper Spindle required high pressure (100 psi). So, the original seals weren’t going to cut it. The new seals are a special Teflon material and ride against a hardened/ground/polished steel shaft. There are two sealing lips on each seal for better sealing and longer life. And these seals are capable of 100 psi. This spindle has new bearings, a new housing, new motor, new everything. We liked this new seal so much that we now use it on all of our spindles. The Grip Wrist uses a custom-made PTFE double-lip seal against a hardened ground shaft. I tested the new seal to 100 million revolutions, and it still performed better than the old-style seal. How did you meet the challenges of the abrasive environment? [Reilley] The Grip Wrist sits out of the way and above the blast stream. It operates in a downflow environment. It is completely sealed, including the spinning gripper. Even if powder manages to get past the seals, the internal components are also sealed. This approach to protection has proven its reliability in the field. What applications might benefit from the Grip Wrist? 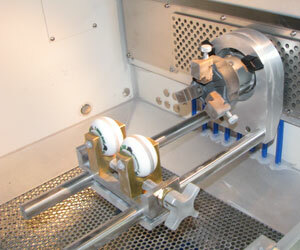 [Reilley] The Grip Wrist suits many applications we traditionally do in our lathes, but it enables batch processing. Spinal implants, dental implants, and bone screws are the most obvious candidates, but the possibilities are great. The Grip Wrist is ideal for processing bone screws, dental implants, and more. Take a look at this quick video to better understand its capabilities. Need to Improve Bond Strength? Questions about automating your process?